The 1917 coup that led to 73 years of terrifying Communism was an American inspired coup d’état. The seizure is better known as the Russian Revolution because those responsible control media. We have been conditioned to think want the guilty want us to think. The seizure of Tsarist Russia was entirely financed from none Russian sources; principally U.S based finance houses. Very few of the ‘revolutionaries’ were Russian. Bolshevism finally triumphed in 1922. Western banks that invested in the coup and industrialists who prayed for its success rubbed their hands. Marx, Lenin and Trotsky were feted more in Wall Street than in terrorised Russia. Through their installed regime U.S banks and corporate interests now controlled Russia’s vast resources. 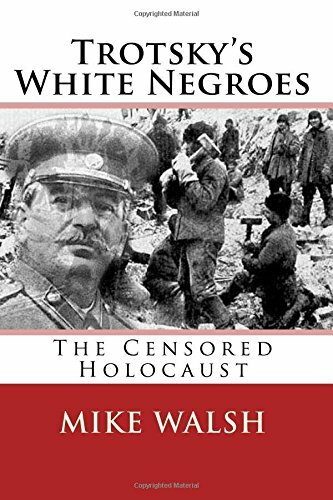 Russia was ripe for exploitation using what Trotsky described as ‘White Negroes’. It is estimated that 70 million of those ‘ethnic European Negroes’ perished before the collapse in 1990. Threatened only by the Reich the West’s investment was rescued in 1941 by Britain and the U.S.